She: So your name is Shivaay, that’s Shiva with a “y”. What do you have that Lord Shiva has? Where is the long hair? He does not offer her a verbal answer. However, since they indulge in many rounds of coital activity soon afterwards, one assumes he proves to her that he is in possession of his very own ******** and not a mere tattoo of (what many believe to be) the phallic symbol associated famously with the most intriguing member of the Hindu Holy Trinity. Who would have dreamt that such an overtly sexual conversation derived from the mythology of Lord Shiva would emerge from staid, conservative Ajay Devgn and the rarely adventurous Hindi film industry. Yet, that is what you get in Shivaay, Devgn’s second directorial venture, which is the story of a modern-day Indian resident of the upper reaches of the Himalayas, mountaineer, guide to foreign tourists and chillum-smoking fount of indomitable strength. In those early portions, when the full blast of Himalayan beauty hits us through Aseem Bajaj’s camerawork at some of the world’s most stunning, snow-laden, high-altitude locations, the film holds out great promise. 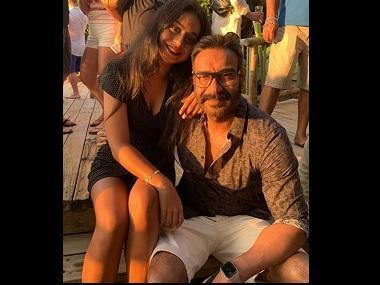 Devgn – who also plays the leading man – is, after all, a dependable actor who does rage, deep affection and pain like few of his colleagues can. And Shiva is, without question, the most fascinating being in the Hindu pantheon of many crore gods. The pre-interval portion is filled with rich visuals, nail-biting action and the potential for an interesting contemporary take on the Shiva lore. Post-interval though, the poor writing (credited to Robin Bhatt and Sandeep Shrivastav) and sub-par acting overwhelm everything else as it becomes clear that all Shivaay’s references to Hindu mythology are painfully literal, and beyond a point, it is not an ode to the deity as much as it is a self-indulgent ode to the leading man. Devgn, who is also this film’s producer, has in the past managed to pull off vintage Bollywood over-statement in films like Singham without appearing foolish. In Shivaay he is in almost every frame and the strain shows with scenes in which he over-acts in – I cannot believe I am saying this about him! – Sunny Deol style. There is a passage in the plot when tragedy strikes and we see his face in relief, the muscles in the space between his left eye and left cheek twitching visibly in a reminder of Deol junior and his dad Dharmendra’s flaring nostrils of yore. Devgn here is Deol with less screaming. He does not get a hand pump a la Gadar, but he does get a wooden table to uproot and shred to bits. The screenplay does not build up any of the other characters sufficiently to match him, and the intensity becomes amusing after a while. A raging hero is only as good as his adversary and Shivaay’s antagonists (played by Markus Ertelt, Miroslav Pashov and Swen Raschka) are so thinly sketched that they are damp squibs. Actually, so are his lover Olga (Erika Kaar), his irritating daughter Gaura Maheshwari (Abigail Eames) and his ally at the Indian Embassy in Bulgaria, Anushka (Sayyeshaa). Hindi films have often been guilty of hiring terrible actors to play Caucasian characters. Devgn gets around that problem by limiting our opportunities to judge his foreign actors – they have little to do, and even less to say. Gaura is even born mute. Actually, those seemingly promising early scenes should have served as a warning bell. How much reason and quality writing should you expect from a film in which a man takes time off to make a clever point about the divine hand in our existence even as an avalance is approaching? A film in which most characters wrap themselves up to stay warm in the icy cold of the Himalayas, but the hero warms his blood on his chillum enough to lie shirtless in the snow for a grand introductory shot and the heroine smokes nothing yet does not freeze to death in her short shorts and off-shoulder tops? (Spoiler alert: begins) The literalness in the film is not confined to the characterisation of Shivaay and the iconography surrounding Shiva. Soon after he exhorts a woman to bear his child, the camera cuts to an aerial shot of two adjoining rocky-lipped crevices resembling the yoni of the mother goddess within which we discover that child. The music by Mithoon is nice to begin with but then becomes overbearing, and one of the many reasons why Shivaay is elongated to 172 minutes and 38 seconds. 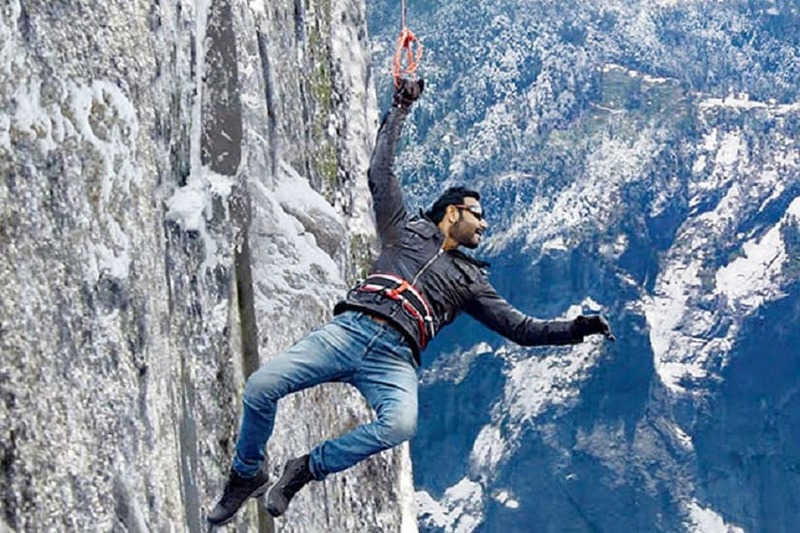 The truth is that I enjoyed some of the hugely improbable scenarios and stunts in the film, silly though they are, including that long car chase in which Shivaay pursues a speeding vehicle on foot through busy Bulgarian roads and manages to catch up with it – I kid you not! – before being dragged for many kilometres on his knees, clad in jeans that remain unharmed by the friction. The scene is a great advertisement for whatever fabric those trousers are made of, and like I said I enjoyed that bit of nonsense as much as I have often enjoyed the nonsense served up by Hollywood action/superhero flicks. Youtube screen grab from Shivaay trailer. Those Hollywood films pull off their string of improbabilities with their unrelenting pace. Shivaay, on the other hand, is the kind of film in which a maudlin song plays in the background while the camera gazes at Dad and daughter for what seems like many minutes right in the middle of a high-stakes hand-to-hand battle between the hero and an array of villains. By then, of course, it is already too late to salvage this film that might have worked at some level if it had brutally shaved about 40 minutes off itself. I present to you Exhibit No. 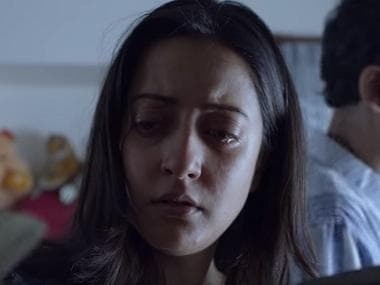 1: the weirdly Oedipal interactions between embassy girl Anushka and her father (Girish Karnad) filled with stodgy, grammatically suspect, unwittingly suggestive dialogues and an extended bathtub scene, complete with a song sung by Kailash Kher, in which she seems to fantasise about Shivaay and Daddy simultaneously. Whoever created that piece of tosh clearly considers it profound. It is not. Yes sir, Messrs Editor, Writers and Director, I am willing to sit with you and identify every needless scene and shot you could have done away with, without charging a fee for the expertise of being a viewer – because there is a kernel of an engaging film somewhere in this maze you have created; and because Shiva the Destroyer and Regenerator, dancer of the Tandav, lover of Parvathi, father of Ganesh and Karthikey, unapologetic smoker of you-know-what, Bholenath, unabashed sexual being, composed yet combustible god, source of all life, whether in an ancient or modern avatar, deserves better than this heavy-handed, over-stretched film.